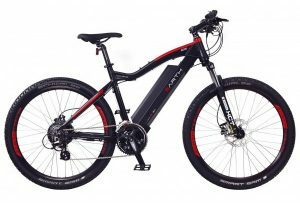 We stock two of the EARTH bike range of ebikes. 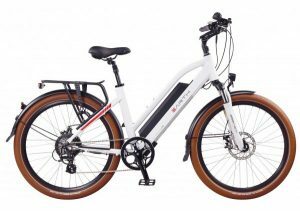 There is a male and female rear hub motor ebike with the battery locking into the frame. They use top end PANASONIC cells and great hub motors. They come with both throttle control and pedal assist sensors. The men’s bike is a mountain bike style called the T-Rex and the stepthrough version is called the Ui5. They are identical in terms of electronics but the Ui5 is a step-through style with smaller 26″ wheels. It’s suited for females and gentlemen who prefer a step through style. These are very popular bikes and are a combination of performance, quality and budget. Highly robust and designed for performance they will impress anyone who cares to come in for a quick test ride.